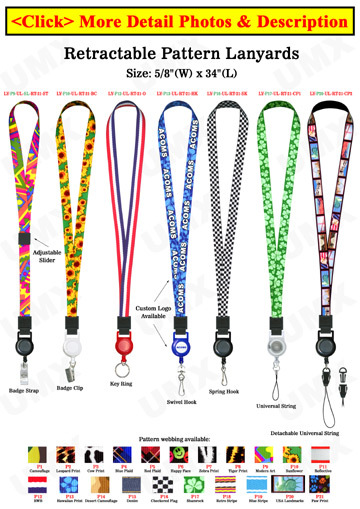 The LY-P-UL-RT-21 is a specially designed neck lanyard that comes with your choice of a preprinted design and a retractable reel. The retractable itself comes in a variety of colors with a choice of 7 different hardware attachments. We carry a large selection of art-designed patterns to suit your fashion style. This multi-purpose, multi-attachment product can be used interchangeably with varying daily needs!